Antique Radio Forums • View topic - Atwater Kent breadboards and who else? Atwater Kent breadboards and who else? Post subject: Atwater Kent breadboards and who else? If they exist they must be pretty rare but were there any other companies that made their sets in the open air style somewhat like Atwater Kent? Post subject: Re: Atwater Kent breadboards and who else? AK breadboards are plentiful on the used market (rather rare new). They're identified by a 4-digit catalog number. That was supplemented by a 1- or 2-digit model number, sometimes with a single-letter suffix (10B, 12C, etc). The modern collecting community has created model numbers for several early sets that had no such numbers from the factory. The earlier sets with single-digit model numbers can command high prices. The more common models 10 and 12 (with or without suffix) go for around $1000 in nice shape. Other manufacturers were making breadboards in the early 20s also. And various companies sold parts that hobbyists used to make similar sets. 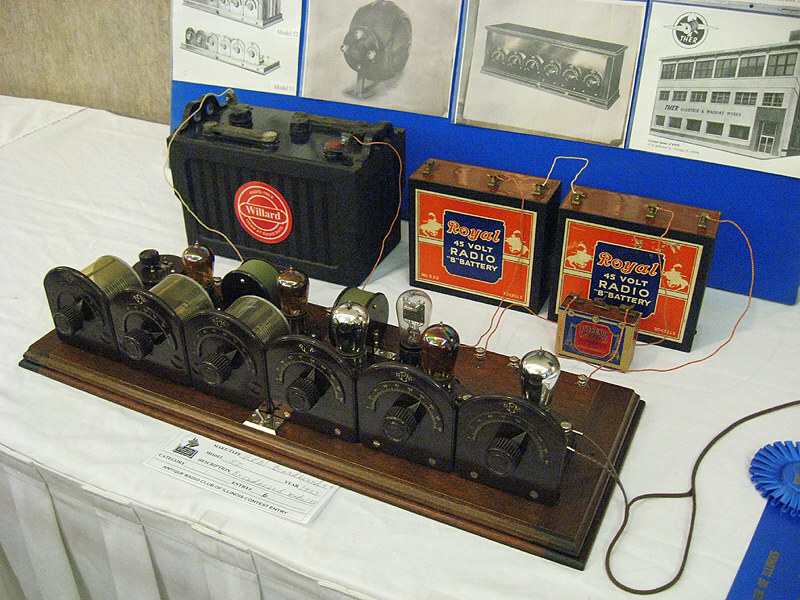 The only other pure breadboard radio that I can think of is the 1925 RPM model 50. Beautiful radio Mike. Is that one yours?